Free WordPress Plugins are available online. Want suitable plugins for your WordPress site? You are at the right place. Anyone willing to build or design WordPress site feels the need of plugins. There are many plugins available; from a suitable online portal, you will get the chance to download necessary plugins at ease. WordPress is a popular platform, which is used by business groups from around the world. WordPress platforms are used not only for a website but also for blogs. Ease of use and accessibility makes WordPress popular all around the world. Do you have any experience of using it? Website owners familiar with WordPress platform should be aware of plugins. Many new plugins are coming up on the market. Based on your need you can find WordPress plugins. Free WordPress Plugins are nothing but pieces of codes, which are incorporated into the system for managing any particular task. Plugins are available in open source market, and it can be used for serving a particular purpose. Plugins make website designing process easy and unique. Often designers or website owners are seen using plugins. Want to download plugins on your WordPress site? There are many portals to find the right WordPress plugins. Plugins are no doubt often used for designing or creation of a website, but these are created by third parties. It is important that you select genuine sites for downloading Free WordPress Plugins. On open source market, you can find hundreds of plugins, selecting the right one from genuine source is important. There are instances where hackers are seen uploading viruses in the name of plugins, be careful when you are selecting the downloading site. With genuine portals, you can find all ranges of WordPress plugins for free, download and start designing your website at ease. We are one reputed name in the business bringing for all our customers wide range of Free WordPress Plugins online. Want free plugins for your WordPress site? Visit our website, download suitable plugins; we have a huge collection of plugins in store for you. It’s like an slider but it rotates cubeishly for reasons unknown. MotoPress Content Editor enhances the quality WordPress editor and permits to create websites visually. It’s complete answer for building responsive pages while not writing and easily by dragging and dropping content components. 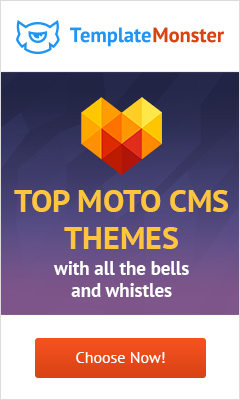 MotoPress plugin is well extendible, totally responsive and works with all WordPress themes. Post Views Counter allows you to show what percentage times a post, page or custom post sort had been viewed with this easy, quick and straightforward to use plugin. For additional info, explore plugin page at dFactory or plugin support forum. Display Instagram photos from any non-private Instagram accounts, either within the same single feed or in multiple totally different ones.